• Great for flexibility and versatility, allowing optimal movement to access virtually all angles for patients who sit or stand. • Allows the clinician to use the least amount of radiation to achieve the best results safely. 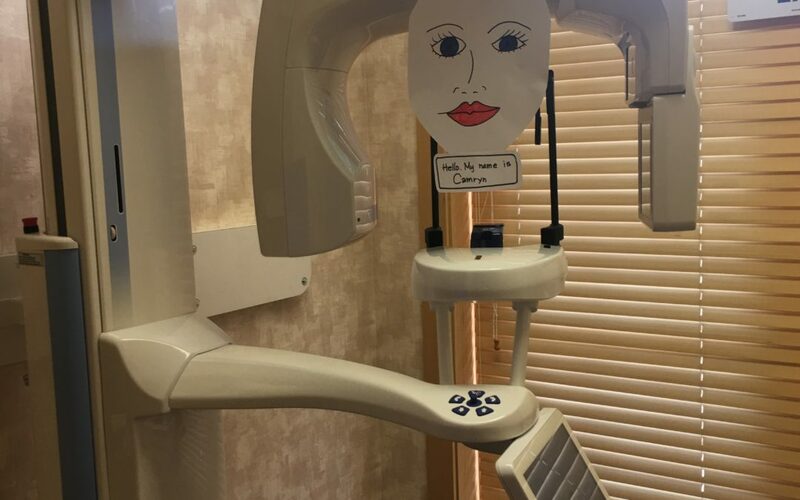 • This comprehensive dental imaging system can take an image of a single tooth or a full maxillofacial reconstruction, as well as the ear, sinus cavity and part of the respiratory tract used for sleep apnea diagnosis. Next time you’re in the office, be sure to have Marcia “introduce” you.